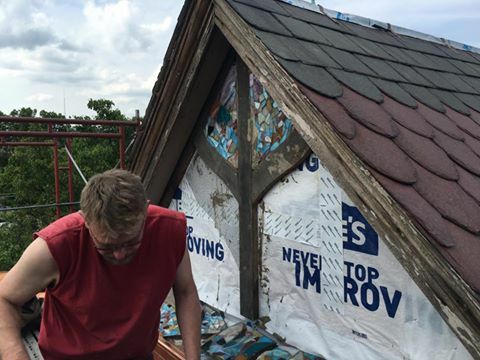 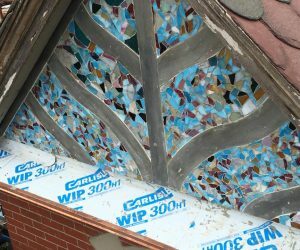 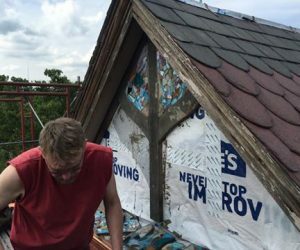 Spent the afternoon helping a homeowner put up a stained glass mosaic that he found hidden behind a wall during our restoration project. 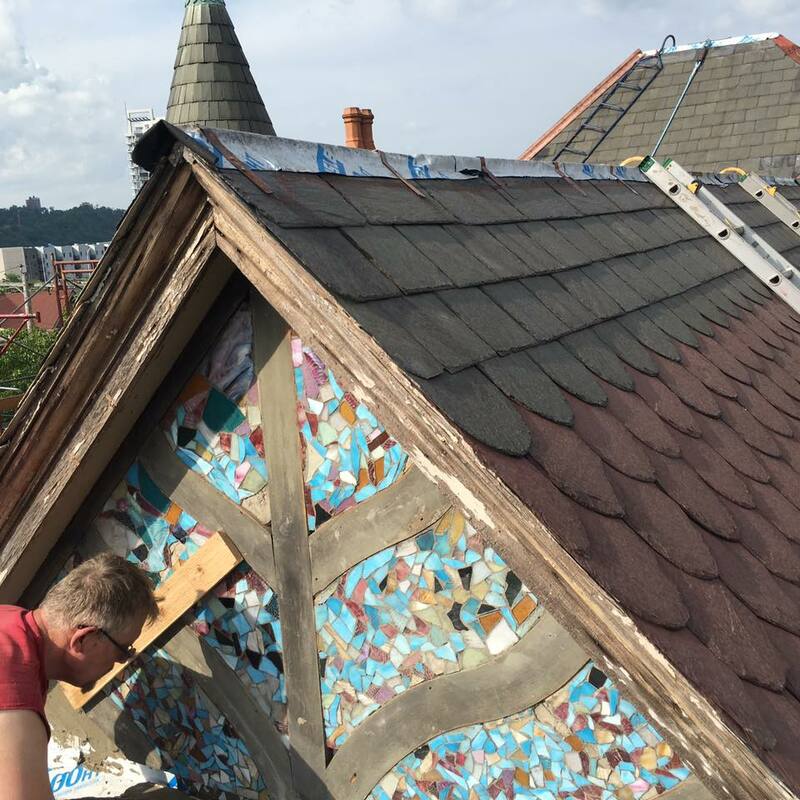 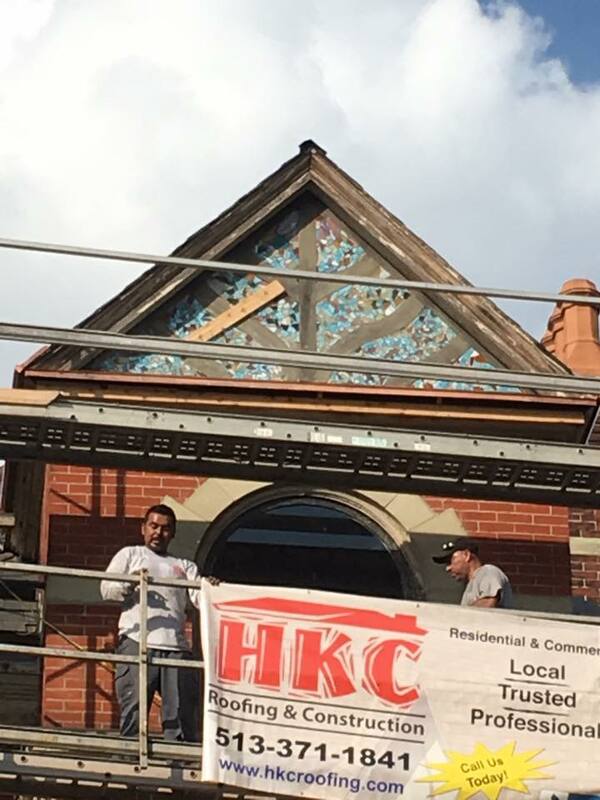 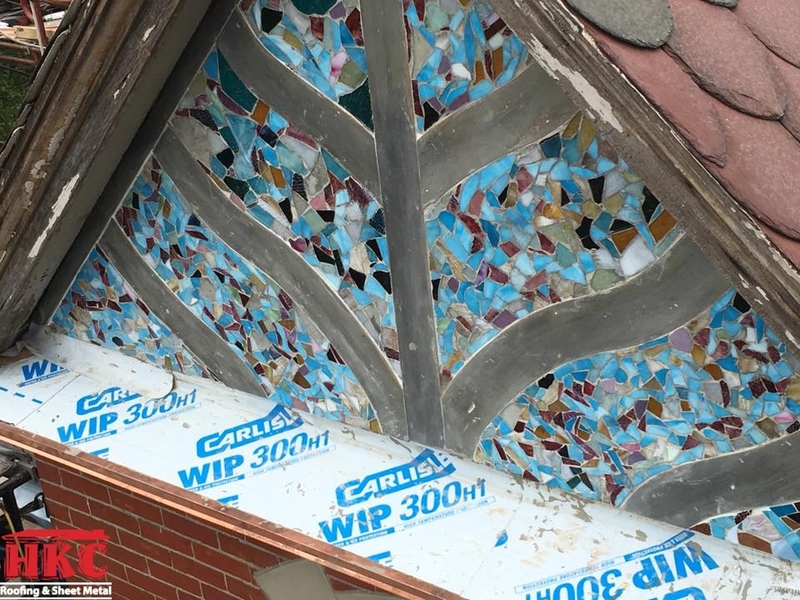 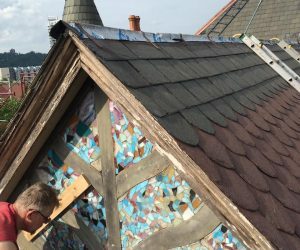 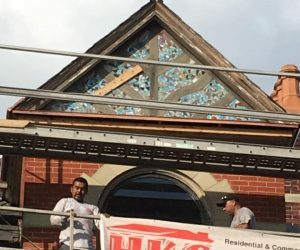 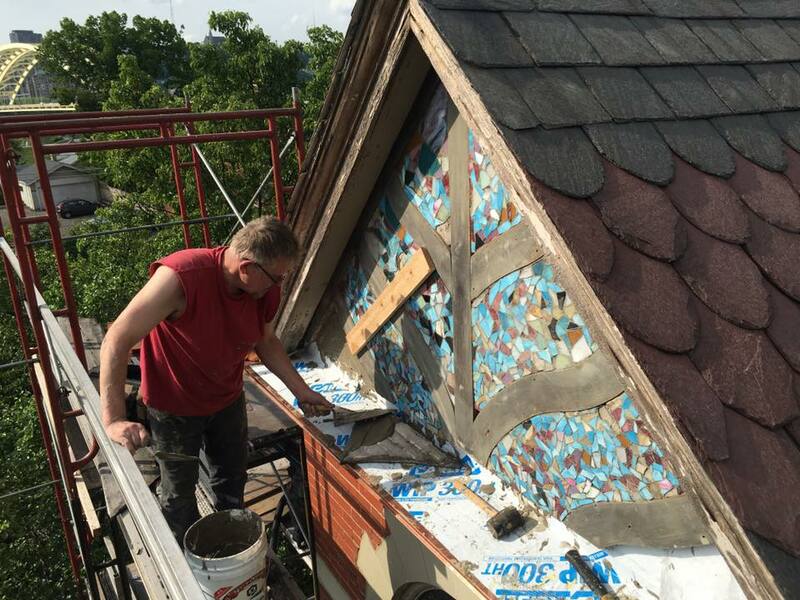 The Mosaic is over 125 years old and was never installed on the gable when the house was originally built in the 1880s. 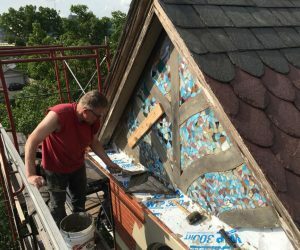 It’s a mystery as to why it was never installed. 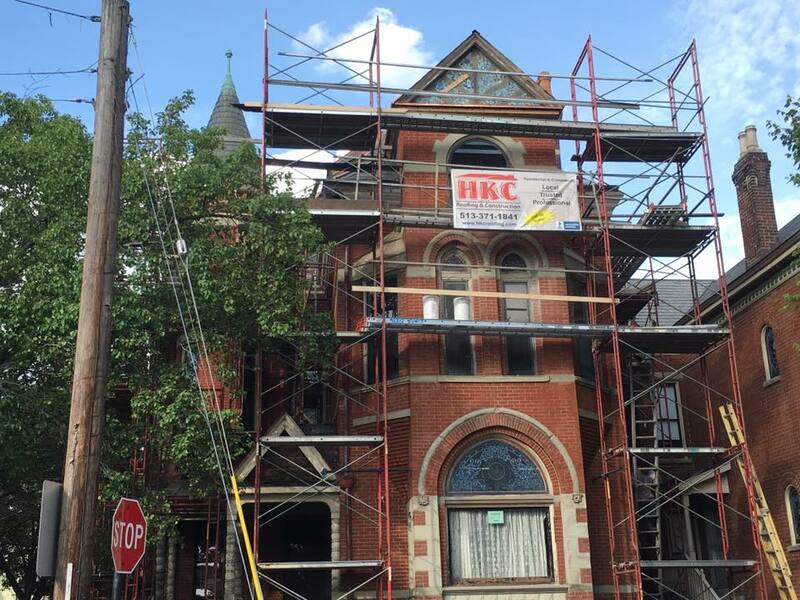 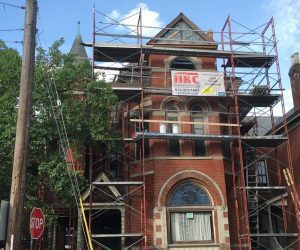 More pictures to come of this beautiful slate, copper sheet metal and masonry restoration project.